Good morning – We have a big announcement that some of you may have already seen on facebook! NEW THIS YEAR – A #TrailsRoc Series – The Trailfecta! The cost for the series is just $75.00. This includes all 3 races and the hoodie at the end! 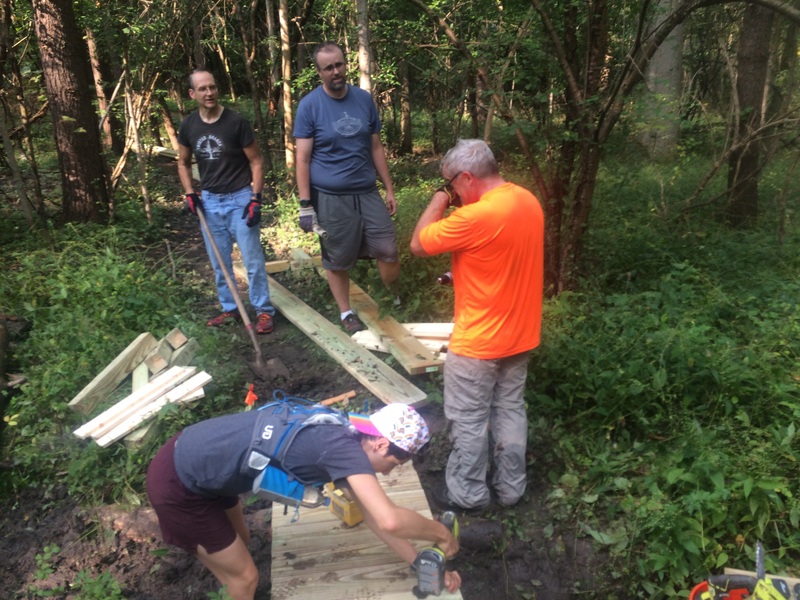 As most of you know our main focus with these races (other than putting on some pretty epic events) is to raise money to continue to build and improve the trails in the Rochester and Finger Lakes region. The series gives you an opportunity to earn some swag, but also to allow us to continue to raise these funds. Join us – Summer, Fall, and Winter and let’s raise some money and earn those hoodies! This entry was posted in #TrailsRoc Races, Article, Race, Trail News, Trails. On September 30th the Land and Water Conservation fund is set to expire. Since 1964 this bipartisan program has funded many projects in the geographical region that we run, hike, and play in. This program has allowed our area to become one of the nation’s best outdoor regions. We have hiking, running, mountain biking, swimming, kayaking, fishing . We have trail-heads, and paved paths for those who can’t go off-road. We have playgrounds, parks, ice rinks and the list goes on. None of this has happened without fierce advocating for our outdoor spaces and we need your help now to renew the fund and continue to create and conserve our amazing outdoor spaces. The Land and Water Conservation fund is paid for by reinvesting royalties from offshore oil and gas drilling into recreation and conservation projects across the country. We are copying in a link from our friends over at the International Mountain Bike Association which will allow you to quickly send a letter to your representative asking them to continue funding this resource. Please support #TrailsRoc and other local outdoor organizations by contacting your representative! Below is a list of some of the projects that locally have been funded through this fund. 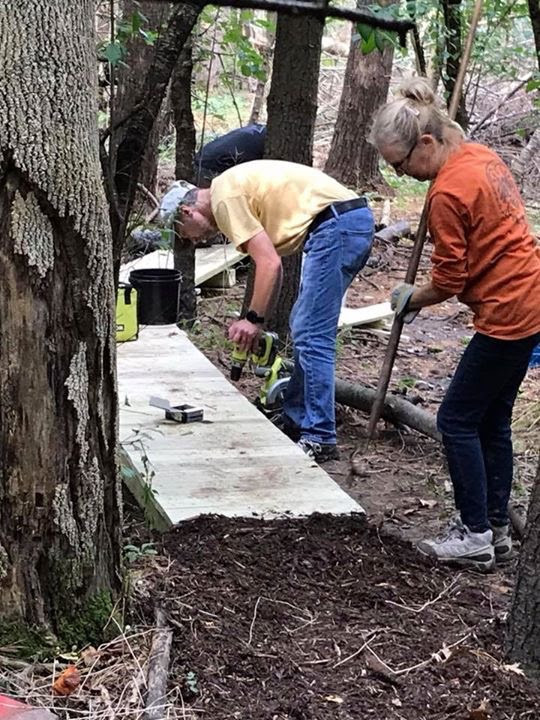 Every time we talk with folks we hear ” Let us know when the next trail work day is” Well you are in luck, we have one scheduled to celebrate Earth Day this Sunday! 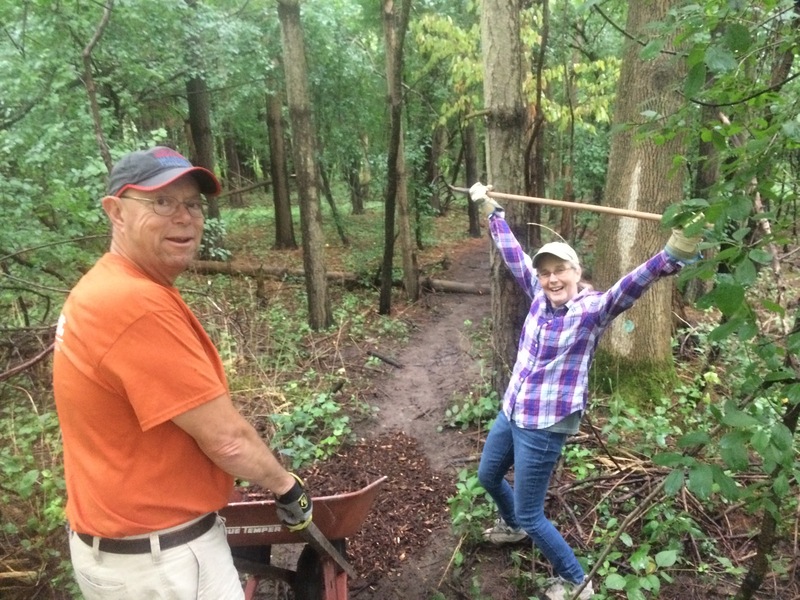 10:30am Trail work – Bring gloves and clippers, we have everything else for the projects. We will have projects as simple as trail clipping and cleaning to as complex as walkways/bridge building. You can choose when you arrive. 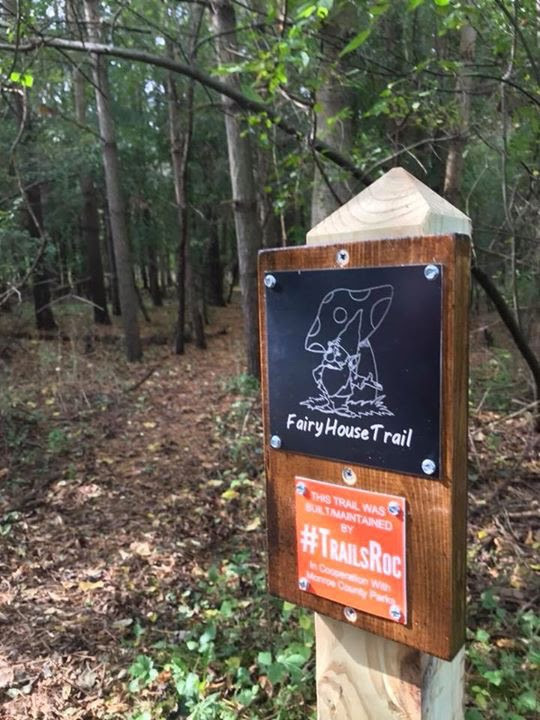 12:30 tailgate potluck lunch – We will hang out in the open air shelter and share our stories and you can hear about all of the amazing things #TrailsRoc has planned this year! Please come and go as you are able. We will meet at the open air pavilion path finder shelter. 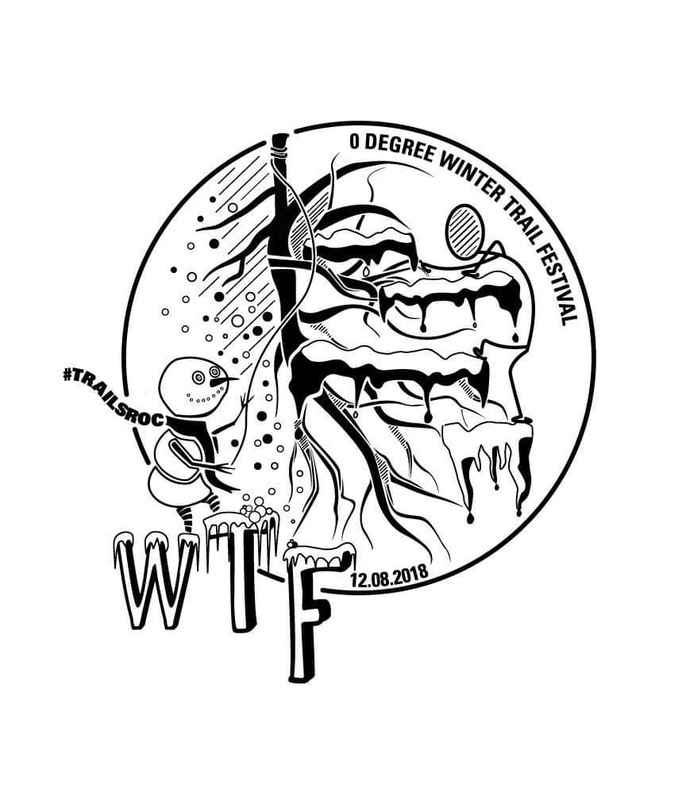 This event is replacing our spring race as we felt it was time to let the trails recover and heal after a few harsh springs and race seasons. This is our way of giving back. Please join us and help us continue to create beautiful outdoor spaces for all to enjoy! 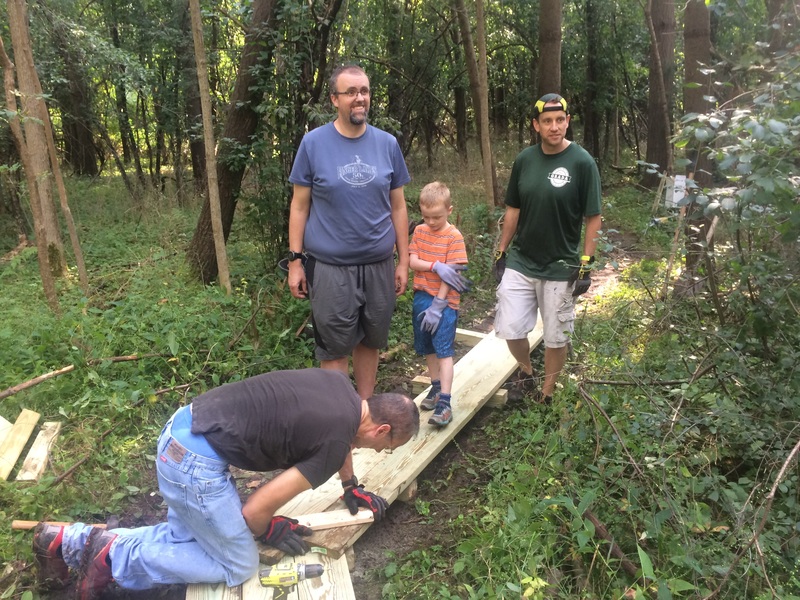 This entry was posted in Article, Trail News, Trails, Uncategorized. Last year…I had grand plans…. Funny how things worked out. The Devil tamed me mercilessly last year. I was a week out of wrapping up the Tarc 50 and was feeling pretty strong. I was a bit over confident and thought I would be able to get a decent time in on what was regarded as one of the toughest trails in America. I walked away, defeated and bailed out at 18 miles and decided not to even write a report. My legs were shot, my confidence smashed. In retrospect I believe that my attempt at Devils Path had a big part of my failure at Vermont 100 last year. However, I vowed I’d be back and try it again. I contacted Jamie and Ben to see who would be up for it again, and Ben was. So after trying to wrangle some more people we set a date that worked for us and ran with it. This year I would run a 50 miler on a whim bu allow myself the time to recover to put the attention on it that it deserved. My training this year hadn’t been great, the mileage was down but more importantly the climbing was down. By a lot. The Devil was going to be rough. I took Friday off work and Ben picked me up after lunch and we made our way down on the 4hr trek to our campsite at Devils Tombstone Campground. A quaint little site that is perched right in the middle of the Devil’s Path. We met Ryan down there, the only other soul to join us, shuttled his car down to the finish area, then came back to wrap things up for the evening and eat some food. My sleep the night before was disturbed by our drunken neighbors who don’t know what quiet hours are between 9pm an 7am. I ensured to return the favor at 5am when we woke the next morning. I really have gotten used to performing on some level with inadequate sleep. It seems to be my thing. I was itching to go and after the short trek over to the start we set off shortly after 6am, luckily enough light on the trail to not need headlamps. The weather was right on the verge of being cold for me but I still decided to head out in sleeveless and shorts. I ran with my trusty SLAB pack and Tailwind nutrition. figuring this would hold me over till we got to the mid point where I had stashed a Coke and would refill the Tailwind. Originally we had talked about staying together thru Shermans Lookout to catch the sunrise, I was kind of moving ok and just kept with it. I didn’t realize how much I had separated myself that by the time I had reached Devils Kitchen I had no longer heard them. Again I figured well, they will catch up by Sherman. Once I reached the lookout after 1000ft in 1.2mile , I knew I was on my own. Snapped to take a few pics texted them and then put myself to work. I wasn’t going for an FKT…because 5:07 is insane. I was going for my own FKT of sub 8. Something I felt was realistic if things clicked. So far they were. I felt like I was goign slower on the climbs this year but just kept pushing ahead. The thing I first noticed was that a few of the initial climbs that were so daunting last year, didn’t phase me as much. Upon reaching Indian Head in under 1:30 I knew it was game on. Despite some initial soreness in the legs I was moving rather efficiently up and down. A 400ft climb in about a half mile greets me as I go up Twin. Indian and Twin have some of the best views of the day and its pretty bad that it happens so early. But still glad I get to see them at all. The clear weather on the day made the views pretty awesome. Coming down off Twin is the first time you begin to laugh at Devils Path descents. Although not one of the worst it is pretty laughable that someone put a trail thru here. Another 1000ft climb in about a mile. Some really steep sections that end up gradually petering out towards the top. I was making good time with 3 peaks under my belt in 2.5 hours. I was feeling pretty good. In what has to be the worst descent out of all of the Devils Path, the descent off SugarLoaf and down into Minks Hollow. 1200ft drop in 1 mile, and its mostly over large boulders. The good thing is you do it realitivly on fresh legs at this point early on. I got down to Minks Hollow and finally encountered my first sign of life with a couple campers sleeping. Shortly after I ran by, I heard them moving around. Must’ve thought I was a bear at this early in the am. Your mind has a funny way of blocking certain things out. Half way up Plateau I realized that my mind had done this to me. Adding in the drop from Sugar Loaf, you are immediately thrust back up a 1200+ climb in a mile. The trail seems to go on forever, over rough route that just seemed relentless. I was looking forward to reaching the top as I knew this was the most runnable section coming up for the day. When I did, I sent out a text and then tried to run. Ok…I’ll walk and let the legs reset then try again. I couldn’t turn the legs over to a run at all. My year of bad was about to continue. My lack of climbing had caught up to me. and no…I couldn’t run. And I was getting really cold. I picked up my hike as fast as it would allow me and prepared myself from what I believe to be the hardest descent on the path, the one down the halfway point. Last year coming down from Plateau my knees gave out and made the rest of the day very hard. I had anticipated this descent all day, and I still hated every moment of it. 1600ft in just over 1 mile. On rocks that move. I started to hit a dark point. I was resigned to wait at the bottom to see how the other guys were doing, but I was on the verge of giving up and calling it a day as well. I stumbled past some day hikers and made my way to my Coke. Downed it quickly, refilled my gear and Tailwind and waited. I was cold, the sun peeked out and I threw my shirt in the sun to warm it up. With the poor reception I was getting I wanted to make sure the other guys were doing ok be fore I carried on. This meant I spent an hour plus not moving but also gave me a rest to get my head back on. When they came down, I said hello put on my headphones and began my way up Hunter. Well…almost up Hunter, this route kind of goes around the back side. a 1400ft climb in just over a mile again. This one feels steep at first then just goes on…and on. By the time I reached the top I felt some life back in my legs and decided to try running again. I was actually starting to move as best a clip I could. My feet and legs were a bit drunken sailor at this point but I was making it down the 2mile 1000ft drop to the Falls fairly ok. I passed a bunch of people thru this section. This was it. This was the turning point. I had made it to the falls. The place where Ben and I called it a day last year. I took a quick splash in the falls and turned my attention to the last* climb of the day. KILL WestKill. That was my thought. make it up and you are done. Its long, its hard but that’s it! 3.5 miles, 1400ft piece of cake. About 5-6 groups I just went cruising by, I was making good time. And Bam! I’m at the summit…time for some downhill to the car. Yep. 200 ft wall in a 1/4 mile. Ok…climbing HAS to be done….please let me go down. 1500ft over the next 1.5 miles. My legs had had enough. By the time I reached the sign saying 1.5 miles left I was letting out curse words as loud as I could. I was beyond being done. To make matters worse…the last 1.5 miles was actually runnable. Except I couldn’t run. I was hobbling to be done. I finally reached the end 10hr20 mins after starting the Damned Devils Path. I have done several ultras now and the Devil still ranks as THE HARDEST THING I have ever done in my life. Do I think sub 8 is possible for me? Yes, but I will have to do lots of work to get there, and it would help to have someone pulling me along during the lowpoints. I’m tempted to try and run it next year…in reverse. This entry was posted in Trails and tagged outdoor, report, run, running, trail, training, ultra.